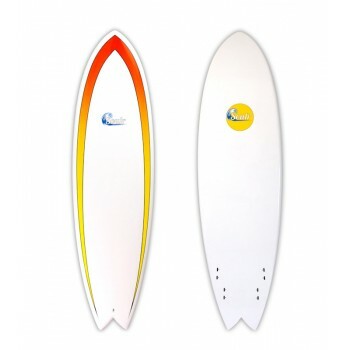 Fish surfboards are a great shape for someone looking to advance from a long board, or have an alternative stick to ride on mushier, small wave days. 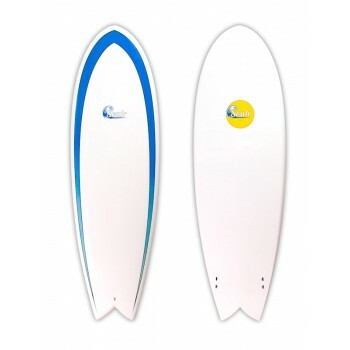 Fish boards are short and wide, giving you excellent float and maneuverability. The shorter profile makes them easier to turn, giving you that shortboard feel when charging down the line. At Soulr, we have hand crafted both retro twin-fins and some more progressive quad fin performance fish surfboards. If you want to maximize the number of waves you'll catch, go retro. If you want a shape that offers more drive and "whipability", chose one of our narrower quad fins.